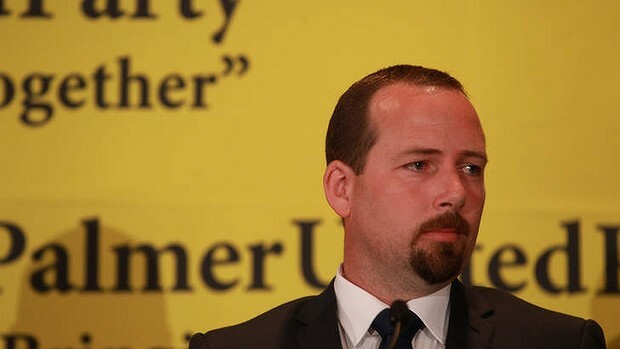 There’s something distinctly Capra-espue about Ricky Muir. Like Longfellow Deeds or Jefferson Smith, Ricky Muir appears to be an ordinary man propelled into extraordinary circumstance. Since his election to the Senate as a member of the Australian Motoring Enthusiasts Party, Muir has kept a low profile and doggedly avoided media interviews. Save for a statement that he would align himself with the Palmer United Party when voting in the Senate, and a brief media appearance as part of Palmer’s line-up of new faces, Muir all but disappeared during the months between September and late May. Muir’s reticence and his reluctance to embrace the media is highly unusual for a politician to say the least, and one that the media finds both infuriating and tantalising. The beast of sensationalism however, is always hungry and Muir it would seem was the next morsel to be devoured. Better still, he presented an easy target. The interview with Mike Willisee on Channel Seven’s Sunday Night demonstrated why. Muir was fed to the lions in the form of a bloated, po-faced Mike Willisee who made almost no effort to disguise his contempt for the newly elected senator from Victoria. Willisee’s first question; “Do you know what balance of power means?” was openly condescending and when Muir answered in the affirmative, Willisee remained silent and let the question hang. When Muir stumbled, Willisee made no effort to come to his rescue. Willisee’s other question; “You say you like cars, so why do you care who makes them?” was designed to entrap Muir into tying himself in knots trying to explain. Again, Willisee allowed him to do so, knowing full well that this was Muir’s first one-on-one media interview and that he was clearly nervous and tongue tied. It’s likely that Muir grew up watching Willlisee presenting his nightly parade of puerile tabloid television with its focus on shonky tradesmen and ‘welfare cheats’, and its also highly likely that Muir was both in fear and awe of the man who was now interrogating him. To prolong Muir’s discomfort and twist the knife even further, Willisee and his producers let the interview go to air with out edit. The sub text of Willisee’s ‘interview’ was clear. How dare this mumbling, stumbling fool be elected to the Senate? This back-woods petrol head, this…this… piss-poor excuse for a politician, this bloody bogan from the Bush!!! Why…, he can’t even answer a simple question relating to the purpose of his party! What audiences forget, especially when they’re in the comfort of their own living rooms is that most people would rather poke their eyes out with hot pins than address a roomful of total strangers, let alone appear under the spotlight glare of national television to explain themselves. What neither Muir or the major parties factored into the last election was the level of voter disenchantment with both parties who were barely distinguishable from one another, and were looking for alternatives. So much to his surprise, Muir was catapulted from a saw-mill worker trying to support his family on $500 a week, to a politician on $190,000 per year. Similarly to Capra’s characters, Muir suddenly found himself at the mercy of a media determined to invade his privacy and jeer at his political inexperience. Like Longfellow Deeds or Jefferson Smith, he also finds himself as the recipient of great power. That’s a dizzying experience for anyone. The mainstream media were quick to jump on the band-wagon in order to crucify Muir and in the process, attack the Palmer Unite Party’s credibility at the same time. Such honesty is despite its apparent naivete, is welcomely refreshing in a political arena dominated by time servers, party hacks, and Neo-Liberal dog-eat-dog ideology. For his own part, the excrable Willisee is hardly the pot to call the kettle black when it comes to mumbling, stumbling, wrecks on camera. Those with long memories can recall Willisee’s own abysmal performance in 1989 while drunk on air and attempting to host Channel 9’s ‘A Current Affair’. Whatever Muir’s communication faults as a politician may be, he is still representative of a democracy that prides itself in the fact that anyone with the determination to have their voice heard and who wants to change the system can be elected if they present a credible argument to voters in their constituency. Moreover, Muir also embodies the fundamental Australian principle of ‘a fair go’. Moreover, Muir unlike Pauline Hanson, has not based his political platform on xenophobia or racism but rather on concern for the future of Australian manufacturing – especially on auto making and its allied industries. He should be allowed the opportunity to present his case without being the subject of sensationalism and ridicule for wanting to do so. Well thought and written, Edward ! Willesee should’ve been retired and kept retired a very long time ago. Never saw the interview as I’m not a fan of commercial ‘trash’ television. Mind you, have been having to suffer it over last two days while our local ABC/SBS transmitters are under repair and the “No Signal” sits boldly on the TV screen. Viewing has just further confirmed my original thoughts about commercial TV. God help us if Murdoch ever gets complete control! Did however see the snippets of the interview shown on ABC which didn’t show Ricky Muir in a particularly good light. But then again Willisee wasn’t out to show him that way, was he? Whatever the outcome Muir would have learnt an invaluable lesson. Never trust MSM journalists out for a story, any story! Because you will become the story, preferably sensationalised! Like you, I’m reserving my decision on the ‘new’ political folk until we actually see their performance in the house. Should be ‘interestingly dynamic’ I suspect. God help us indeed D. I didn’t see the entire interview either (beat me, kick me but don’t make me watch commercial TV – especially if its a Willisee interview) and like yourself, only caught up with it through the ABC. Yes, Muir has certainly had his first ‘blooding’ and no doubt Willisee’s producers gave him the impression that they’d edit out the gaffes and then hung him out to dry. Bastards! As I wrote in the article, I don’t agree with his party’s policies but I was appalled by his treatment at the hands of a has been hack like Willisee. We live in hope! Must admit have concerns about fringe parties getting into Senate with such low prumary votes. At same time don’t want to see vote system changed si that it only favours major parties which Lib/Labs seem intent on doing. like you edward i don’t agree with the politics of ricky muir but i was embarrassed for him and appalled by wllisee’s performance and in fact i ended up feeling sympathy for him.it would not surprise me if that was the net effect on the wider audience of this ambush.it was in my opinion the beginning of a campaign to destroy clive palmer the one they really fear. A pretty good assessment of the situation sir plus. They were certainly out to discredit Palmer and used Muir as a catspaw. As Deknarf observed, Muir just learned a very valuable lesson about the media but he certainly learned it the hard way. Similarly to yourself, I felt sorry for him.